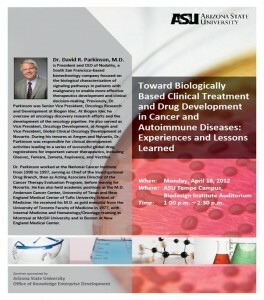 Dr. David R. Parkinson, M.D. is President and CEO of Nodality, a South San Francisco-based biotechnology company focused on the biological characterization of signaling pathways in patients with malignancy to enable more effective therapeutics development and clinical decision-making. 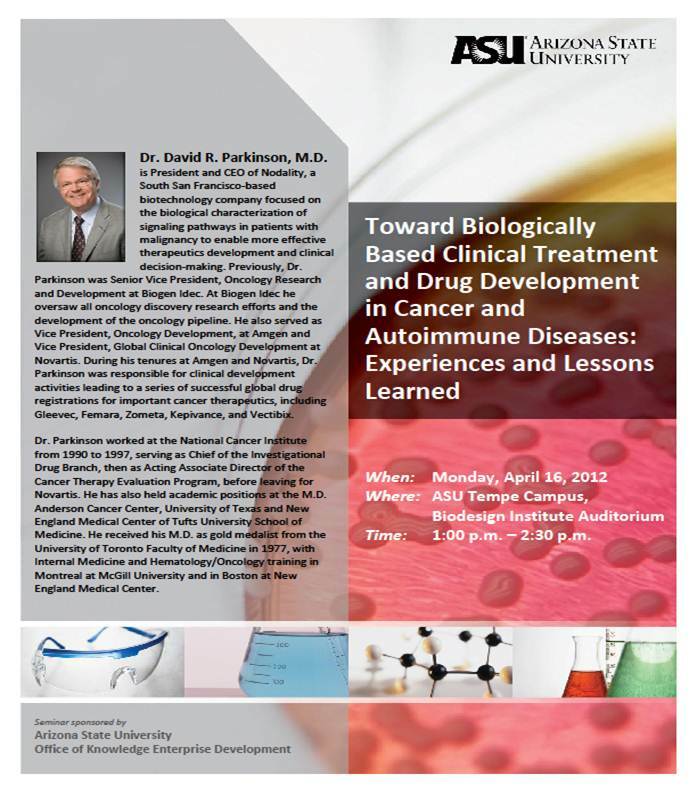 Previously, Dr. Parkinson was Senior Vice President, Oncology Research and Development at Biogen Idec. At Biogen Idec he oversaw all oncology discovery research efforts and the development of the oncology pipeline. He also served as Vice President, Oncology Development, at Amgen and Vice President, Global Clinical Oncology Development at Novartis. During his tenures at Amgen and Novartis, Dr. Parkinson was responsible for clinical development activities leading to a series of successful global drug registrations for important cancer therapeutics, including Gleevec, Femara, Zometa, Kepivance, and Vectibix. Dr. Parkinson worked at the National Cancer Institute from 1990 to 1997, serving as Chief of the Investigational Drug Branch, then as Acting Associate Director of the Cancer Therapy Evaluation Program, before leaving for Novartis. He has also held academic positions at the M.D. Anderson Cancer Center, University of Texas and New England Medical Center of Tufts University School of Medicine. He received his M.D. as gold medalist from the University of Toronto Faculty of Medicine in 1977, with Internal Medicine and Hematology/Oncology training in Montreal at McGill University and in Boston at New England Medical Center.